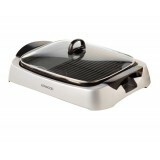 Featues Grill / Griddle double-sided reversible plate Plate Size : 400 (L) x 300 (W) mm Detachable non-stick coated cooking plate for easy cleaning and dishwasher Adjustable temperature control knob and power-on indicator Drip tray capture the fats and juice from g..
Kenwood HG266 Health Grill Oil Drainage Channel Kenwood HG 266 Health Grill consists of an Oil Drainage Channel, which drains out the extra oil on the Grill Plates. 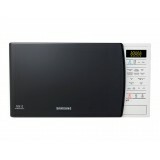 It ensures that your food retains only the amount of oil that it requires. 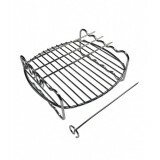 The extra oil on the Grill Plates..
Plated- Steel Rack helps to double up cooking capacity or 2 different kind of food at the same time Grill/ Fry Comes with 4 Stainless Steel skewers Compatible with Mayer Airfryer Model MMAF2, MMAF3, MMAF8, MMAF9D, MMAF10, MMAF12 & MAAF1200 ..
Griddle or Grill! Your choice! 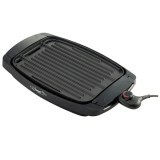 Enjoy cooking with the Malaga griddle! 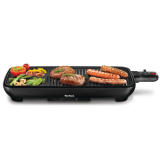 Plancha (Grill) with adjustable thermostat for perfectly cooked food every time. Easy cleaning with its removable electrical unit. ..